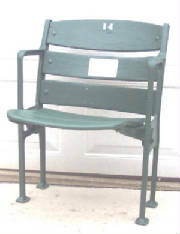 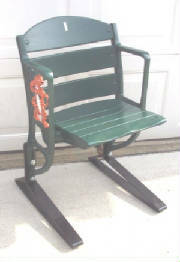 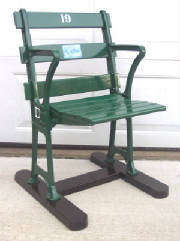 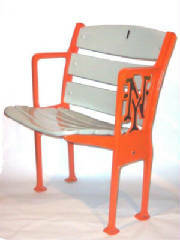 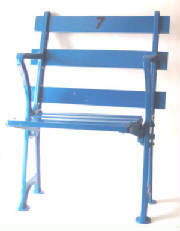 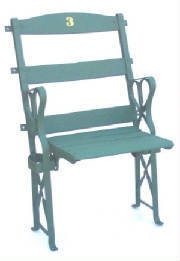 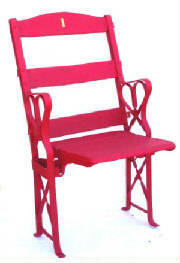 We have a full restoration department from the Original Seat Doctor.Don't be fooled by " Johnny come lately" refinishers.Original Stadium Seats has been restoring seats since 1991.Bring back the luster of your old beat up seats with our custom refinishing process.We do things the old fashion way,using oil-base paint and a brush.We have a couple of options for restoring your stadium seats. 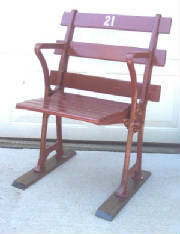 All seats will come with wood treads for stability.Customer pays all shipping. 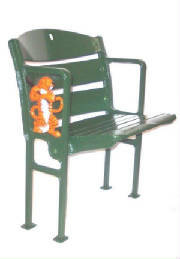 We do not stock restored seats,they are custom order.Payment in full before any work is started on the seat.Allow 4-6 weeks for delivery.